Bneev Consulting help in Proprietorship Company Registrationto Individuals who is about to open the business. Most businesses in India start individually without other’s participation. 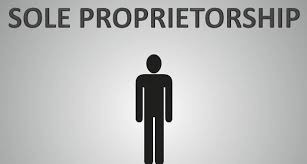 An individual carrying out business activities is the sole proprietor and its business entity is said to be a Proprietorship Firm. The identity of an individual and the business are not different from each other. But due to the lower tax rate, flexibility and multiple advantages people prefer this structure for the early stage of business. With the inclusion of partners, the control over operation reduces. Hence, these proprietors choose to run the business single-handedly and land upon sole proprietorship firm registration. Although there is no specific Act to regulate this organization, there are many ways to register a Sole Proprietorship firm. Small businesses aiming to take lower risks prefer this structure.